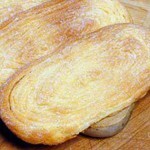 The otap is an oval-shaped puff pastry that is about four to six inches long and about two inches wide. 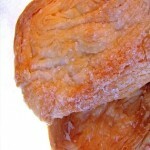 The surface of the otap looks very crumpled and is sprinkled with sugar that has somewhat hardened on the otap. The crumpled look of the otap is what makes it very fragile and easily to break into bits of pieces when you bite it. 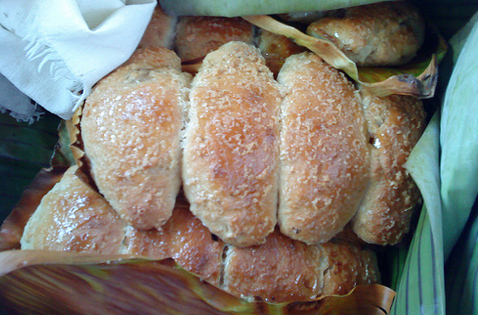 The native delicacy is especially common in the province of Cebu where it originated. 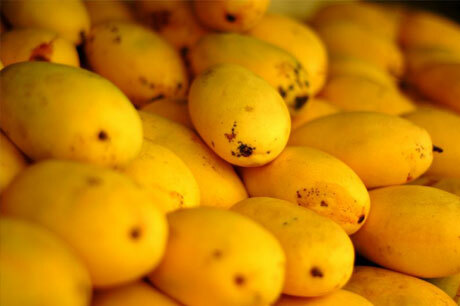 But the otap is also popular as a snack in other provinces in the Visayas region like Negros Oriental and Negros Occidental. 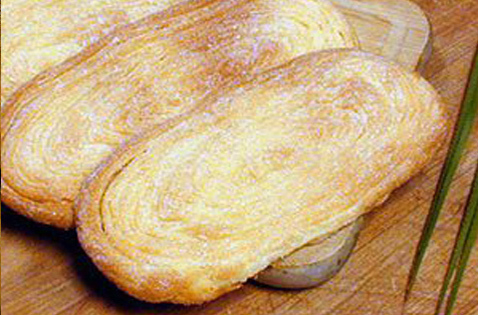 The native delicacy is usually created from a combination of flour, shortening, coconut, and sugar. 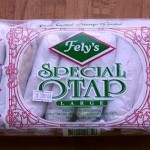 In order to achieve the distinctive texture of the otap, it usually undergoes a two-stage baking process. The first stage is to partially cook the dough and then after that, the top of the partially cook dough is sprinkled with sugar. The second stage involves baking again the dough a little bit over the usual baking time in order to create an oval-shaped, flaky pastry that will become the otap. 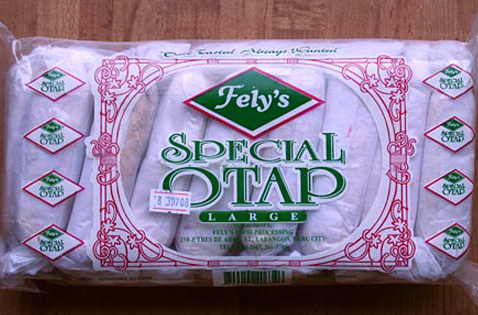 There are many otap makers in Cebu City but the most famous are Shamrock, La Fortuna and Masterline. 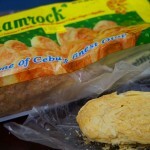 All of them have specialty bakeshops in Cebu that sell otap and other native snacks. 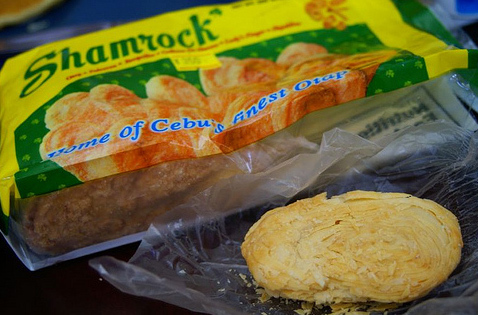 Whether you are a Filipino or a tourist visiting Cebu, people who eat otap for the first time will love its flaky and sweet taste that will make them want to eat more of the native delicacy. 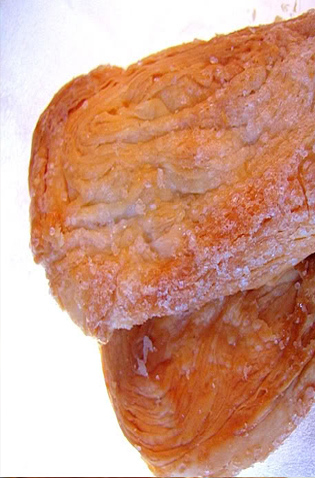 Since otap is considered a fragile food because it breaks easily, it is advisable to eat it while holding your other palm or a plate under your mouth so you could catch the bits of pieces of the otap falling from your mouth as you eat the pastry.